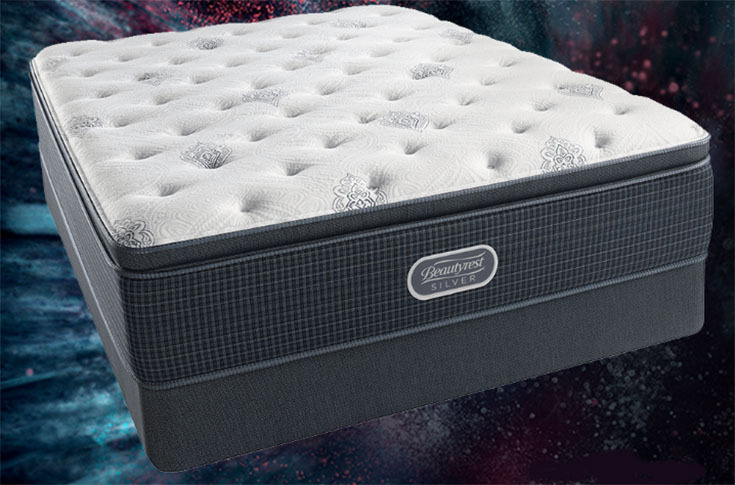 The Open Seas Plush Pillow Top is a hybrid mattress from the Simmons Beautyrest Silver collection. The Silver is their most affordable collection. This is a plush, pillow-top mattress, meaning it shouldn’t put pressure on your joints and is thus ideal for side sleepers. Furthermore, the Dualcool™ Technology Fiber, Airfeel™ Foam, and Aircool® Foam will prevent you from overheating. Check out our overview of the Beautyrest Silver collection HERE. Simmons states this is a plush pillow-top. In general, plush mattresses are a good selection for side sleepers, since a plush mattress will relieve pressure on the joints. That being said, we cannot give a more specific assessment of the firmness without further information. Common Praise: What Makes This Mattress Stand Out? The Open Seas Plush Pillow Top may be a nice pick for people who sleep hot. It contains cooling technologies such as Airfeel™ Foam, Dualcool™ Technology Fiber, and Aircool® Foam. This plush, pillow-top model might be comfortable for side sleepers, as the plush material will prevent pressure on your knees, hips, and shoulders. The Open Seas Plush Pillow Top is a plush pillow-top, meaning it could be a soft mattress. It may be a good fit for people who like the feeling of a softer mattress with a pillow-top. Read our review of the Charcoal Coast Plush Pillow Top mattress HERE. The Open Seas Plush Pillow Top may not be a good fit for back or stomach sleepers, as people who sleep on their back or stomach usually need a firmer mattress to support them while they sleep. Some people find that the material in a pillow-top may compress over time, wearing down the mattress and making it feel uncomfortable. This mattress does contain memory foam, but it may not be a good fit for those who prefer a classic memory foam feel. Those who do should look for a pure memory foam model. Check out our review of the Cascade Mist Firm mattress HERE. Why Should You Choose This Over The Other Silver Models? According to the Simmons website, this is a “plush pillow top” model, meaning it’s likely much softer and plusher than other models in the Beautyrest Silver collection. The Open Seas Plush Pillow Top mattress has a pillow-top. 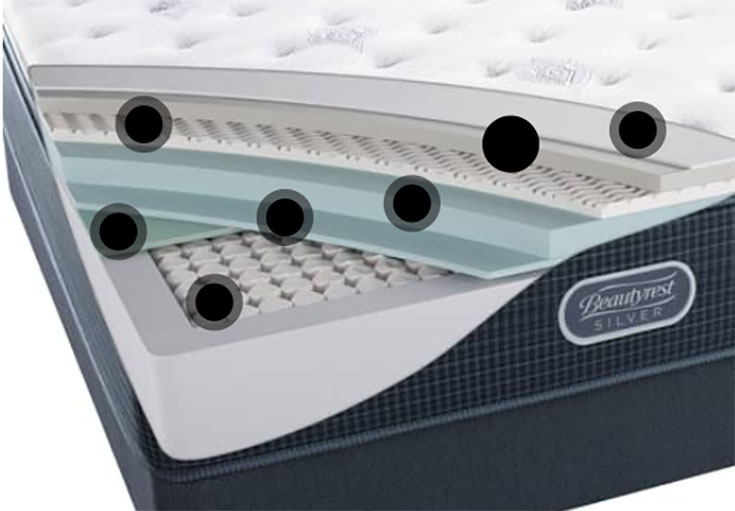 Other mattresses in the Beautyrest Silver collection do not have a pillow-top. This mattress contains several temperature-control technologies, including Dualcool™ Technology Fiber, Aircool® Foam, and Airfeel™ Foam, to help people who run hot at night. This innerspring coil mattress is 14” high and contains Dualcool™ Technology Fiber, Aircool® Foam, Airfeel™ Foam, Geltouch® Foam, and 815 Density Firm Beautyrest® Pocketed Coil® Technology. The Open Seas Plush Pillow Top mattress is described as a plush pillow-top, meaning it’s probably a good option for people who sleep on their side or prefer a soft mattress. Back and stomach sleepers may want to look for a firmer mattress.